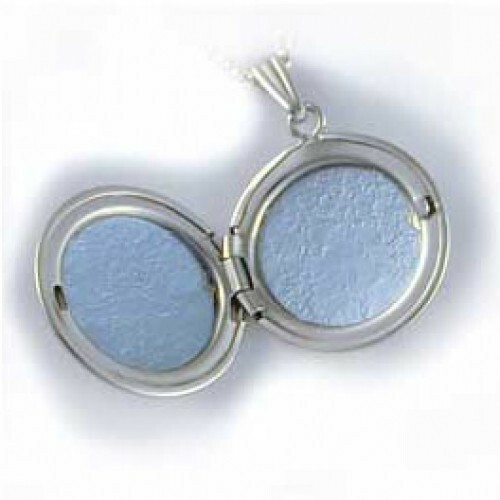 3/4" across, this locket is a standard size locket for most women. Inside is room for 2 pictures protected with plastic inserts. 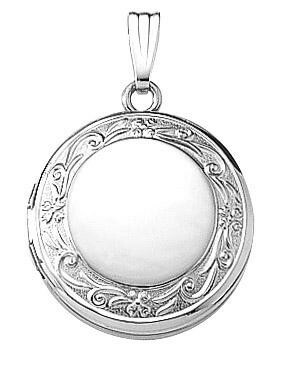 The struck edging is reminiscent of the Victorian style lockets from the turn of the century. It looks great with a monogram on the front, or a sentiment on the back. Engraving is an additional $15. for up to 12 letters. 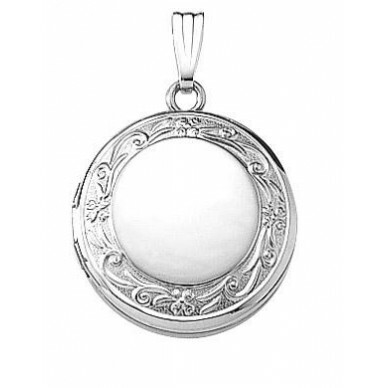 It comes with an 18 " 14K white gold rope chain. Comes Boxed. Lifetime warranty.